James Altucher at RealMoney.com noted us in a Blog Watch piece. And another, another, another, and another! We were Week #12 Blog of the Week over at All Financial Matters. We were a Stockblogs.com Blog of the Week. There are several sources of blog links that I particularly trust and value; this is one of them. Barry Ritholtz at the Big Picture included Abnormal Returns in his Blog Spotlight series. This post got us noticed by the MarketBeat Blog at WSJ.com. Felix Salmon at Market Movers picked up on this post on the futility of active management in the face of plunging ETF expense ratios. Abnormal Returns was included in the Portfolio.com’s Interactive Guide to the Econoblogosphere. The editors a Pensions & Investments chose to include Abnormal Returns in their Blog Bank. Value Blog Review, with his list of the 15 most important blogs for new investors and traders. Steve Waldman at Interfluidity kindly includes Abnormal Returns in a sprawling look at the economics and finance blogosphere. Abnormal Returns was a “Business Site of the Week” at theticker.org. An oh-so brief mention at Slate.com. Mebane Faber at World Beta puts in the class of world-class aggregators like Instapundit and Kottke. Abnormal Returns has been rated “Great” by Blogged. Abnormal Returns is profiled as a “best of the web” pick from MoneySmartz.com. Abnormal Returns crosses over to the world of politics in a list of recommended econblogs by Ben Smith at Politico.com. 1. Abnormal Returns — The site is very simply a ‘link’ site to relevant financial articles around the web covering the main subjects of the day. It’s a great site that sends you quickly to the best sources — mainstream and bloggers. They have earned my trust for their thorough, simple coverage. Deal Journal notes our third blogiversary. Business Pundit places Abnormal Returns among the “50 Best Business Blogs of 2008” in the Financial News and Investing category. Abnormal Returns ranked #2 on Capital Vandalism’s list of Financial Blogs of the Year. Abnormal Returns ranks sixth amongst the “most influential econo/financial business blogosphere” according to Real Property Alpha. Abnormal Returns made The Reformed Broker’s list of Who’s Who of Financial Bloggers. Admittedly, calling Abnormal Returns a single blog is stretching the definition a bit, as the folks at Abnormal read just about everything written on the markets and assemble a list of the best of the best on an almost daily basis. I have no idea how many articles are left on the cutting floor, but the ones that make the final links list always give me a lot of ideas to contemplate. Abnormal Returns is the king of the link fest post and perhaps one of the better blogs on finance, public/private equity, and investing. Their original tag line “A wide-ranging, forecast-free investment blog” still holds true today. Abnormal Returns makes a list of investment blogs worth your time from My $10,000. Abnormal Returns made it onto “The best of the money blogs” list at the Globe and Mail. @abnormalreturns (our Twitter feed) was mentioned as a “active (and wise) poster to StockTwits” over at FiLife. We talked web aggregators with the guys at Wall St. Cheat Sheet. Mark S. Ament of SportsBiz “never misses” reading Abnormal Returns. Abnormal Returns appeared in The Reformed Broker’s Periodic Table of Finance Bloggers. Business Pundit places Abnormal Returns among the “75 Best Business Blogs of 2009” in the Investing category. Abnormal Returns was #24 on the list of the 50 Best Business Blogs of 2009 from Technology.am. Abnormal Returns made the list of the 100 Best Damn Stock Traders on Twitter from The Social Executive. “Abnormal Returns gets even better” according to Felix Salmon at Reuters. Abnormal Returns was included on this “all star team of online finance” by Zack Miller at New Rules of Investing. Abnormal Returns was mentioned in this life of “five sensible yet entertaining blogs to build wealth” at Globe Investor. Abnormal Returns was included in this list: The 24/7 Wall St. Twenty Best Financial Blogs. What it takes to be one of the very best financial bloggers (Abnormal Returns included) according to Josh Brown at The Reformed Broker. Abnormal Returns was named the inaugural “site of the week” at research puzzle pix by tom brakke. Abnormal Returns is one of the seven site most frequently viewed by Charles Kirk of the Kirk Report. Kenny Powers over at Wall Street Oasis listed Abnormal Returns amongst the Best Finance Blogs. Abnormal Returns was mentioned amongst “The 20 Most Influential Blogs in Financial Media NOT Listed Among the New Influentials” over at Minyanville. Our Portugese is rusty, but Abnormal Returns appeared on this list of ten blogs to help you invest at Económico. Abnormal Returns was mentioned in this list of 50 lucrative investment blogs. Abnormal Returns was mentioned as being among the “crème de la crème” of the financial blogosphere by Investment Banker Paris. Abnormal Returns is mentioned in this post “Blogues : inspirez-vous des meilleurs” at Finance Et Investissement. Abnormal Returns is mentioned among “10 Financial Blogs to Give Your Practice an Edge” at RIA Central. We received some very kind tributes on the occasion of our sixth blogiversary compiled over at The Reformed Broker. Abnormal Returns was listed among the “Best Alternative Financial Blogs” at CNBC’s NetNet blog. Abnormal Returns was named among the “best financial industry blogs” at AdvisorOne. We were quoted by Jason Zweig in his “Intelligent Investor” column over at WSJ.com. @abnormalreturns was mentioned among “20 Twitter feeds all financial advisers should follow” at Investment News. @abnormalreturns was recently #14 on the PeerIndex’s list of 250 Finance Tweeters Worth Following via MoneyScience. Abnormal Returns was mentioned in this list of “blogs to follow” at Bilan.ch. @abnormalreturns was mentioned in this list of “101 Finance People You Have to Follow on Twitter” at Clusterstock. @abnormalreturns was named a “Top 10 Investment Blogger to Follow on Twitter” at Wealth Lift. @abnormalreturns was mentioned in this article on how to “Tweak your portfolio with tweets.” at the Financial Post. Abnormal Returns was mentioned amongst the best financial news aggregators at Mutual Fund Observer. @abnormalreturns was listed amongst the “Top Finance People to Follow on Twitter” on Market Folly’s Alpha List. Abnormal Returns landed on this list of “who is the one writer or blogger whose new material you make a point to go check out?” at ammar mian. Eleven blogs for all financial advisors to follow at InvestmentNews. We were mentioned as one of the “five best financial bloggers” by The Reformed Broker. Abnormal Returns mentioned by Morgan Housel in “How to Read Financial News” at Motley Fool. Abnormal Returns was mentioned amongst the “fine fifteen” financial sites to follow at Above the Market. @abnormalreturns was included in this list of the top fifteen Twitter “must follows” for 2013 at UpsideTrader. Abnormal Returns was listed among the “Top 100 (Anglo-Saxon) Finance Blogs” at Suitpossum. Abnormal Returns snagged a mention, via Barry Ritholtz, in the Washington Post. Abnormal Returns’s ” daily links are superb..and a blog I peruse daily.” says Eugene. @abnormalreturns was mentioned among the top twenty financial experts to follow on Twitter at WSJ.Money. Abnormal Returns was listed among “10 Influential Blogs for Financial Advisors” at Financial Planning. @abnormalreturns was listed as a “must follow on Twitter” by John Boorman at Alpha Capture. @abnormalreturns was listed among “The top financial tweeters to follow” at eFinancialNews. Follow @abnormalreturns “to be savvier about the markets and economy” at Money. @abnormalreturns was listed among “15 power Tweeters every advisor should know” at InvestmentNews. Abnormal Returns was #18 on the list of the “100 Best Finance Blogs” over at Insider Monkey. @abnormalreturnes was listed among the 106 Finance People You Have to Follow on Twitter” at Business Insider. Abnormal Returns was mentioned in the 2014 Investor’s Guide over at Money magazine. Abnormal Returns was included in this list of the RIABiz top 10 industry blog over at RIABiz. * Financial blog and journalism summary: Abnormal Returns – Take a look at the links for the day. There are posts pertaining to markets, trading strategy, the economy, you name it. You would have to spend hours to replicate the curation accomplished by Tadas. Combine with your favorite news feed and you have a great resource for staying on top of current market thought. Justin Kuepper at TraderHQ lists the “50 blogs every serious trader should read” and includes Abnormal Returns at the top of the list. We got a chance to mention our favorite FRED chart in this article over at the Washington Post. Abnormal Returns was mentioned in this list of “30 blogs that mutual fund investors should read” over at MutualFunds.com. Shane Ferro at Medium includes Abnormal Returns on list of blogs worth visiting every day. Why you should read him: You could only visit Tadas’s site and stay informed. If anyone in the financial world writes a good article, Tadas will link to it. @abnormalreturns was included on this list of “The 100 Most Influential People in Finance on Twitter” at Econible. We were mentioned in this piece by Ian Salisbury on robo-advisors at Money magazine. Abnormal Returns appears on this list of “15 Financial Advisor Blogs Worth Following” at My Perfect Client. If I had to choose one website to follow on a daily basis, Abnormal Returns would be it, no contest. You can use Abnormal Returns to either locate singular voices or websites you’d like to follow more closely or just keep up with everything Tadas posts that day for reading material. Whenever I’m busy or traveling the first place I check in to see what I’ve missed is Abnormal Returns. Abnormal Returns was voted a “Top Finance Blogs 2015” over at BusinessEconomics.com. Brett Steenbarger at TraderFeed mentions @abnormalreturns as a good follow for broad perspectives. Anthony Isola at Malice…for all looks at how some members of Finance Twitter would do in the world of the Walking Dead. Jae Jun at Old School Value mentions Abnormal Returns among 3 investment news outlets to read. Josh Brown at The Reformed Broker wrote a very nice post on the occasion of the 10th blogiversary of Abnormal Returns. Patrick O’Shaughnessy at Investor’s Field Guide on how Abnormal Returns has tried to “cultivate points of leverage” for great content over time. Abnormal Returns was mentioned among “five of the top investment gurus to follow on Twitter” by Adam Shaw at media society. Abnormal Returns was listed among the 20 Best Investing Blogs of 2016 by The College Investor. Abnormal Returns was listed among “The Top 16 Investing Blogs of 2016” according to HighRise. Carl Richards at Behavior Gap had some nice things to say about our Abnormal Returns 10:10 Campaign. Abnormal Returns’ post on low vol investing got a mention at Barron’s Focus on Funds. Gary Antonacci at Dual Momentum included Abnormal Returns among his list of “Most Useful Investment Blogs” and @abnormalreturns among people to follow on Twitter. Howard Lindzon included Abnormal Returns among what he reads everyday. Brent Beshore listed Abnormal Returns among his daily reads. Peter Lazaroff writing at Forbes encourages new grads to subscribe to Abnormal Returns. Abnormal Returns was included on this list of the “50 Of The Best Investing Blogs On The Planet (2017)” at The Acquirer’s Multiple. @abnormalreturns was listed among “The 125 most important finance people you have to follow on Twitter” at Business Insider. The ‘blogger wisdom’ series at Abnormal Returns was mentioned in this “My Drop What I Am Doing List” at bps and pieces. Phil Huber at BPS and Pieces included @abnormalreturns of the top follows on Financial Twitter. 5. Best of the econo-blogosphere blogs. Forget that we have corresponded and that he linked me in one of his linkfests. Conflicts abound perhaps but this really is the best of the best. I have toyed with renouncing my crash-prone intrusive-ad-heavy WSJ subscription lately. If I do do that, I could live off of abnormalreturns.com as a solid replacement for my morning reading. You know, I once tried to produce links at a pace like his and, frankly, it is impossible. I failed in one week. And I’m retired. No idea how he does it. Abnormal Returns ended up #21 on FeedSpot’s list of the top 75 trading blogs. Morgan Housel at the Collaborative Fund included Abnormal Returns on this list of What I Read (And Why). @abnormalreturns was includes on this list of “The Best Trader Resources on Twitter and StockTwits” at MartinKronicle. Abnormal Returns appears on the 2018 FocusEconomics list of the Top Blogs Economics and Finance blogs. Abnormal Returns appears the list “12 Best FIRE and Finance Blogs to Follow” from Grow to Retire. @abnormalreturns was mentioned in this Investment News piece on the use of social media in finance. Abnormal Returns has been at the investment blog thing for a long time and often posts great in-depth articles. The huge value to me, however, is their regular “links” articles. When I’m really short on time, I just scan those, confident that if they’ve missed a story, it probably wasn’t that important to start with. Abnormal Returns was listed among the 2018 Best Investing Blogs over at The College Investor. Abnormal Returns is one of two resources Howard Lindzon reads every day. Abnormal Returns was mentioned in the July 2018 edition of Mutual Fund Observer by David Snowball. 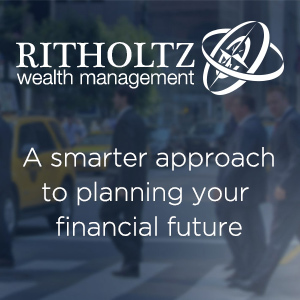 On June 26, 2018, Josh Brown (a/k/a The Reformed Broker) announced the hiring of Tadas Viskanta as the new director of investor education at Ritholtz Wealth Management. Tadas is the indefatigable proprietor of Abnormal Returns who, since 2005, has daily curated dozens of links on finance and on life. His proclaimed focus is being a “forecast-free investment blog,” which is to say AR is blessedly free of the endless din of self-serving, click-whoring speculation about whether a new Golden Age or a new Dark Age has been spawn by some act of corporate cupidity, fintech folly, robotic ascendance or druncle tweet. His curation strikes me as discerning but not dogmatic; he finds thoughtful content in unconventional places, and is as willing to offer an audience to a thoughtful blogger as to a Morningstar vice president. Abnormal Returns was mentioned as one of four sites that provide “Fresh Perspectives on Life and Financial Markets” per Brett Steenbarger writing at Forbes. Abnormal Returns was listed in the “150 of the best investing blogs on the planet (2018)” at The Acquirer’s Multiple. We really like Abnormal returns, a site run by investor Tadas Viskanta, who aggregates investing content from around the web and is by far one of the best sources on investing. Cliff Asness of AQR Capital Management mentioned Abnormal Returns among blogs his visits. 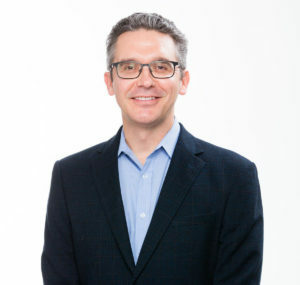 Abnormal Returns – Tadas Viskanta provides an excellent resource for great articles and perspectives from finance site across the web, well worth following. Abnormal Returns came in third on this list of “the top 12 financial and investing blogs” according to RCM Alternatives. If you need a chart of the day or catchy quote to start your mornings, the Abnormal Returns blog will be right up your alley. Founder Tadas Viskanta has been in the blogosphere for eight years and has gathered quite a following since then. Abnormal Returns is a one-stop shop for what’s going on in the world on finance.